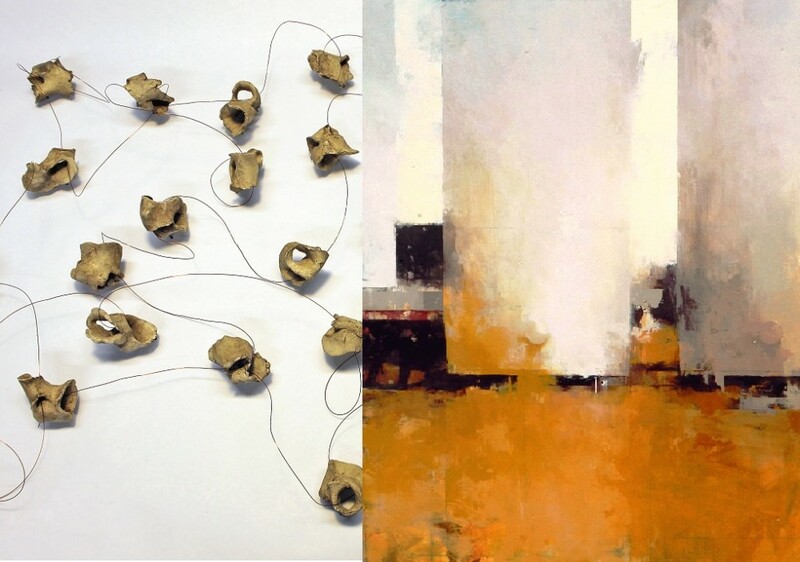 Beginning Third Friday, September 19, Modified Arts is proud to present the work of Christine Cassano and Sean Thomas. Though the two have not previously exhibited together, their work shares a common interest in the melding of organic and inorganic forms. The complex systems of life are examined by the two artists in visually complementary, yet intellectually disparate ways, creating a thoughtful exhibition where the viewer can gaze internally, before peering outward at the things humans create and how they interact with the natural world. Christine Cassano, a relative veteran of the Phoenix art scene, presents a mix of engulfing, site-specific installation and smaller, more intimately digestible works. Rooted in her own past health problems and a keen interest in morphology, the study of the form and structure of organisms and their structural feature, Cassano creates sculptural pieces meant to echo both the body and technology. By exploring that nexus, the artist’s work makes compatible the compositions and materials within humanity, and the compositions and materials utilized by humanity. For this exhibition, an installation of Cassano’s, “Triggers and Hesitations,” will run alongside a series of smaller, equally meticulous works documenting internal structures. Later this month, Cassano will present her work alongside 22 other Arizona artists at the Tempe Center for the Arts Biennial exhibition. Together, Thomas and Cassano’s work sets up the gallery space as one for purposeful introspection. While Cassano’s work invites an inward understanding of structure and form, Thomas looks outward, seeing how urban space invites new contrasts when one looks beyond the immediate sights and sounds.